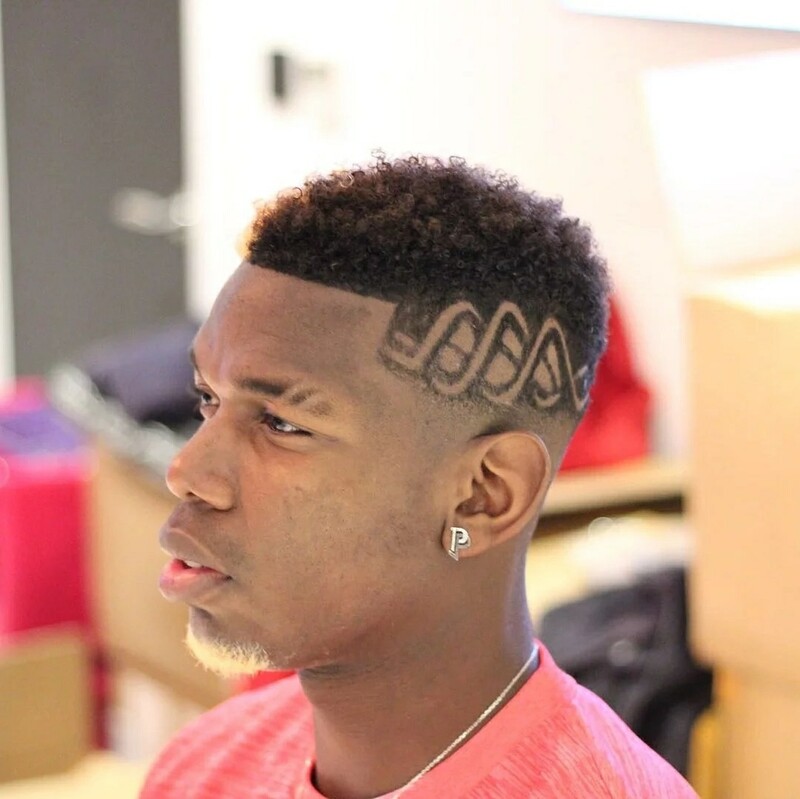 Pogba new haircut can be described as 'Burn' has he revealed it on Instagram. Pogba is currently on a 3 match ban following his sent off against Arsenal. He was ban for 3 games after appearing to stamp on Arsenal defender Hector Bellerin in the 3-1 win at the Emirates Stadium. Prior to the ban, he has missed United's defeat to Manchester City at Old Trafford and the win over Bournemouth. 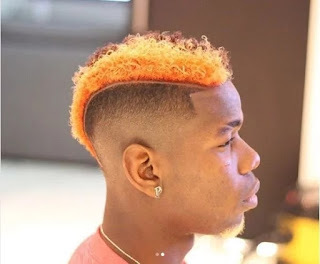 In preparation for his return, Pogba has now revealed a new hairdo. He posted the image of his haircut on his Instagram page for his followers to enjoy. The hair has a bright orange color on the right side, while on the left side there is a new pattern (as seen above in the first picture). Pogba captioned the images "Hair is burning" tagging his brothers and A star Barbers. The final game he will miss is against West Brom at the weekend, but he will be free to play in United's League Cup quarter-final tie against Bristol City.